The key feature of the Huawei Vision is a curved, 3.7in touchscreen and a unibody design that is carved from a single piece of aluminium. It is a similar casing used in many of HTC's Android phones, including the flagship HTC Sensation and Sensation XE handsets. The Vision measures just 9.9mm thick. Huawei says the Vision's capacitive touchscreen is made using similar technology implemented in the production of Swiss watches. The company also claims that each Vision screen takes "up to" 17 hours to manufacture. "Vision epitomises everything that Huawei stands for," said Huawei Australia's devices marketing director, Mark Treadwell. "The award winning Vision pushes the boundaries of accessibility, style, cutting edge technology and user experience with a unique curved screen, 3D user interface, Android 2.3 Gingerbread operating system and host of smart features, all at a very competitive price.". 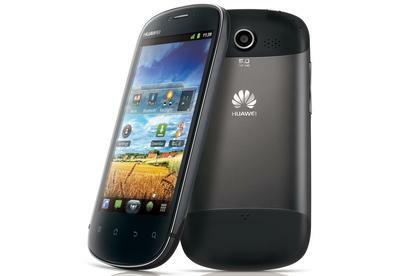 The Huawei Vision is powered by a 1GHz single-core processor, has 512MB of RAM and comes with 2GB of internal memory. The memory can be expanded with a microSD card slot. The Vision also has a 5-megapixel camera with single-LED flash that doubles as a 720p HD video recorder and runs the 2.3 "Gingerbread" version of Google's Android operating system. The Huawei Vision will be sold exclusively through Allphones for $279 outright and is also available on Optus' $19 cap. The $19 cap includes $70 worth of calls and text and 100MB of data per month, along with unlimited access to Facebook, Twitter, LinkedIn, MySpace, eBay and Foursquare within Australia.